Who ever thought leaky pipes could be so much fun in the tub! 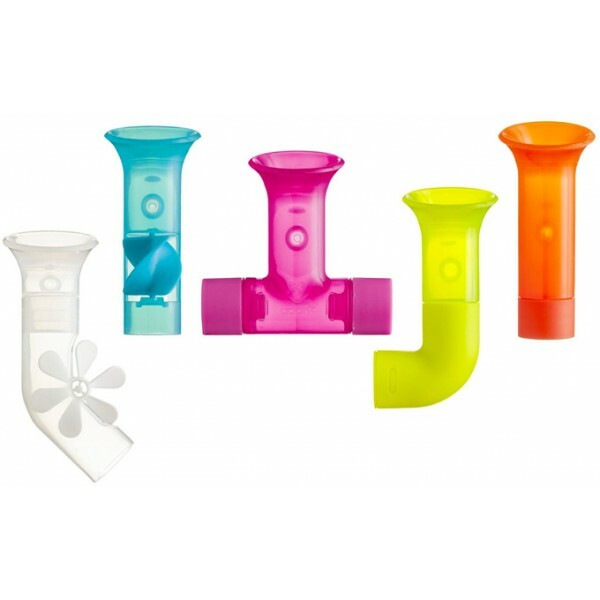 This set of suction cup pipes from Boon makes bath time a scooping and pouring extravaganza. 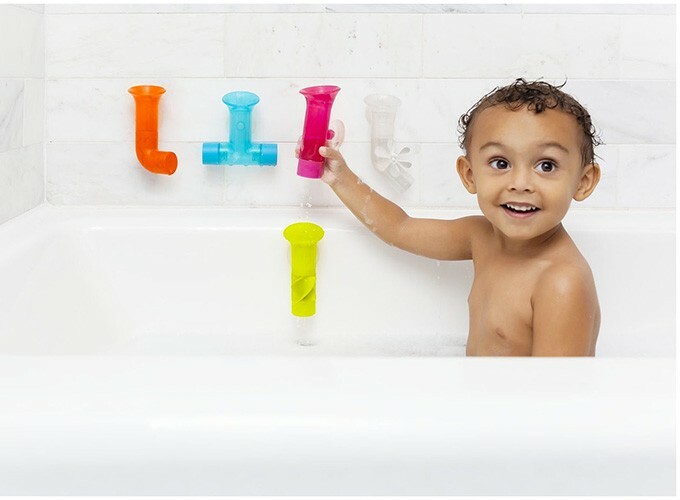 The pipes come in five shapes that can be used individually or put together to make a chain; they suction to the wall so the water goes back in the tub, not on the floor. It's the perfect way to have a little extra bathtime fun! 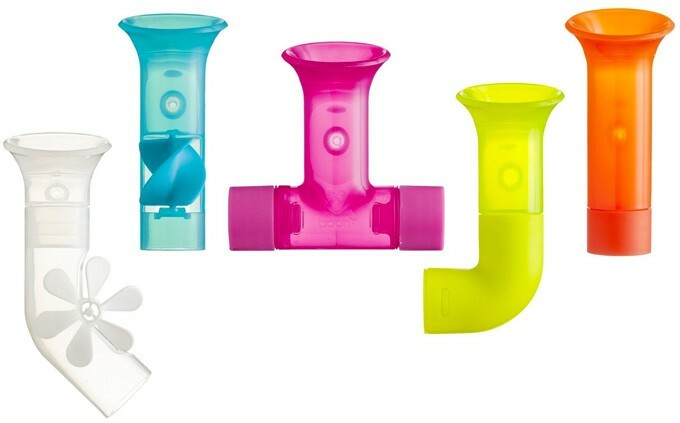 These high-quality, BPA-free plastic pipes dry out completely between uses so you don't have to worry about mold and mildew buildup.